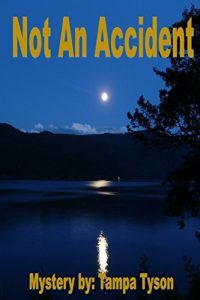 When Gabby Myers, an avid skier, becomes the victim of a wrist injury, she turns into a detective after she refuses to believe it was nothing more than an accident. Tampa Tyson was born in USA’s North Neighboring country, Canada, and immigrated when she was just a toddler. Born a few years before the turn of the 21st Century, she has a first account of the advances in technology and remembers using late 20th century toys. She considers Candy Crush an alternate form of chess, one that is more suited to her playing style.